Kraftin' Kimmie Stamps Challenge #109~Tag You're It! Hello! It's time for a new challenge at Kraftin' Kimmie Stamps, and this time we are challenging you to make a TAG!!! This challenge is right up my alley because I LOVE making tags:) You can also incorporate a tag onto a card, etc. For my tag I used this adorable image named Willard. This poor little dude just looks so cold doesn't he? 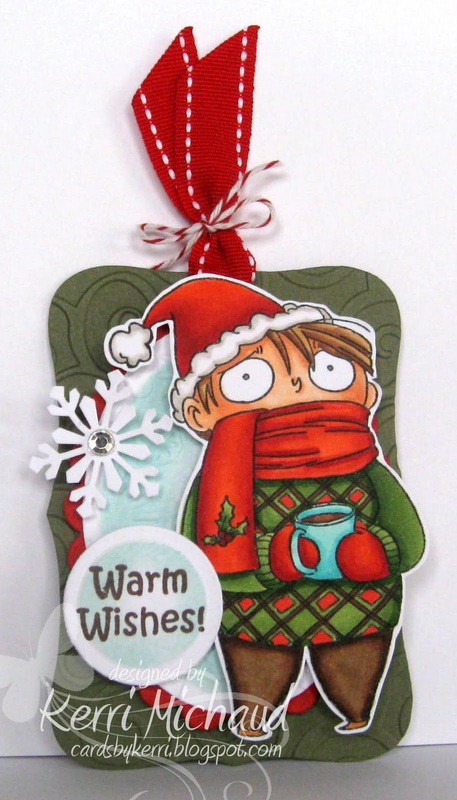 He needs to head on down here to Florida and thaw out a little bit:) I used Nestabilities Labels 8 for the base of my tag, and embossed it with the CB D'vine Swirls embossing folder. I added a Nestie Oval, and sponged it with PTI Aqua Mist. I then embossed the oval with the CB Snowflake EF. The sentiment comes with this image. Cutthroat Lizzie! 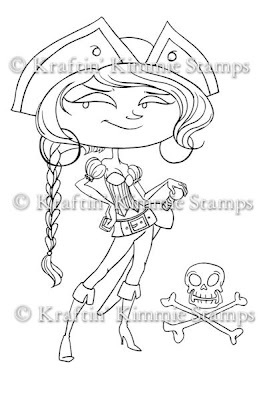 Just link your Tag creations to the Kraftin' Kimmie Stamps Blog HERE! what a great creation ! lovely ! What a funny tag Cindy, so wonderful! I'm sorry I was a bad blogger last week! So gorgeous Kerri,I love the image and the colours. Willard is the best!! This tag is just fabulous! Gorgeous! Hope you are doing well! They are looking very beautiful..Good work done.. This is ADORABLE girlie! LOVE this tag!! This is a fabulous tag and Willard looks great! I love the little snowflake on there. ;D Have a Merry Christmas!